Sukhdev Roy received the B.Sc. (Hons.) degree in Physics from Delhi University, India, in1986, the M.Sc. degree in Physics with specialization in Electronic Science, from Dayalbagh Educational Institute, Agra, India, in 1988, and Ph.D. degree in Physics, from the Indian Institute of Technology, Delhi, in 1993. He was a Senior Research Assistant at the Department of Physics, Indian Institute of Technology, Delhi, from 1988 to 1989. Since 1993, he has been with the Department of Physics and Computer Science, Dayalbagh Educational Institute, Agra, where he is at present a Professor. He has been a Visiting Scientist at Harvard, Queen Mary, University of London, City University, London, University of Waterloo, Osaka University, Hokkaido University, the Tata Institute of Fundamental Research, Mumbai and the Indian Institute of Science, Bangalore. Dr. Roy has won a number of awards and fellowships that include the 1st IETE-B.B. Sen Memorial Award in 2007 and the IETE-CEOT (94) Biennial award in 2012, by the Institution of Electronics and Telecommunication Engineers (IETE), India, the Hari Ohm Ashram Prerit Shri H.C. Shah Research Endowment Prize by Sardar Patel University, India in 2008, Research Associateship of the Abdus Salam International Centre for Theoretical Physics, Trieste, Italy (2011-16), the Japan Society for Promotion of Science Invitation Fellowship to Hokkaido University, Sapporo, Japan, in 2004, the Career Award for Young Teachers by the All-India Council for Technical Education, India, in 2001 and Best Paper Presentation Awards at the IEEE Workshop on Advances in Photonics, IIT Delhi, Dec. 2013, by the Indian Science Congress Association in 2000 and 2001 and by the Systems Society of India in 1995 and 2008. He has published more than 100 papers in journal and conference proceedings and has contributed three book chapters. 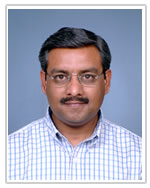 He is on the Editorial Board of Recent Patents on Signal Processing, International Journal of Computer and Electrical Engineering, and Journal of Electronic Science and Technology. He is a Fellow of the Indian National Academy of Engineering, IETE, India and the Optical Society of India, Life Member of the National Academy of Sciences, India, Senior Member, IEEE and the International Association of Computer Science and Information Technology, and Member of the Optical Society of America. Professor Sukhdev Roy has made significant contributions in Nano-Photonics that encompass nano-bio-photonics, organic and silicon photonics and molecular electronics. He has experimentally and theoretically demonstrated all-optical switching and computing with a wide range of molecules that include archael rhodopsin proteins (similar to visual rhodopsins in the retina), plant phototropins, chlorophylls, fullerenes, graphene, phthalocyanines, porphyrins, organic dyes and organometallics. He has not only demonstrated that naturally occurring extremely photosensitive protein molecules can be used for low-power all-optical and opto-electronic computing, but also integrated them with nanostructures to enhance the functionality. His novel designs of all-optical computing circuits with bacteriorhodopsin (BR) protein-coated ultrahigh-Q silica microresonators coupled to optical fibers, define a new paradigm in convergence of technologies, by using nano and biotechnologies to achieve ultrafast and ultrahigh bandwidth information processing. He has analyzed ultrafast all-optical switching with organic molecules (Graphene, Cu-Pc, BR, Cyt c) and silicon ring resonators and designed a variety of all-optical and opto-electronic Boolean, conservative, reversible and reconfigurable computing devices and circuits that include SLMs, logic gates (Fredkin, Toffoli, Feynman, Peres etc. ), adders-subtractors, delays, MUX-DEMUXs, comparators, decoders, flip-flops, counters, RAMs, ALUs and PLAs. His contributions open up the fascinating prospect of harnessing the photochromic, photoelectric and charge transport properties of natural photoreceptors, optimized over centuries of evolution, that exhibit exceptional thermal and photostability, for energy-efficient, ultrafast, environmental friendly, compact and low-cost systems for information processing, sensing and energy conversion. His research interests are in the study of nonlinear optical response of organic molecular configurations, Si micro/nanostructures and photonic crystalsfor optical information processing, sensing, energy conversion and quantum photonics.